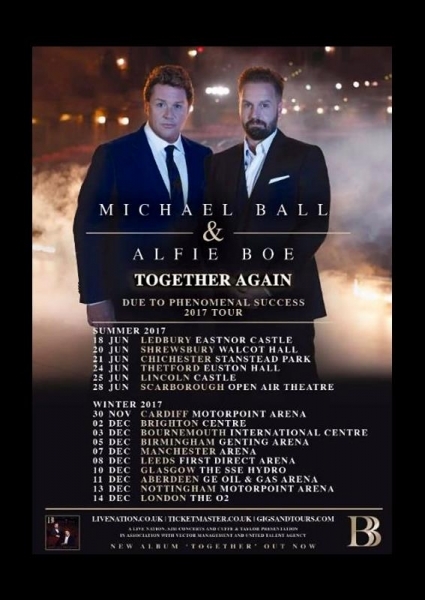 Michael Ball and Alfie Boe performing their Together Again Tour at The Motorpoint Arena Nottingham on Wednesday 13th December 2017. 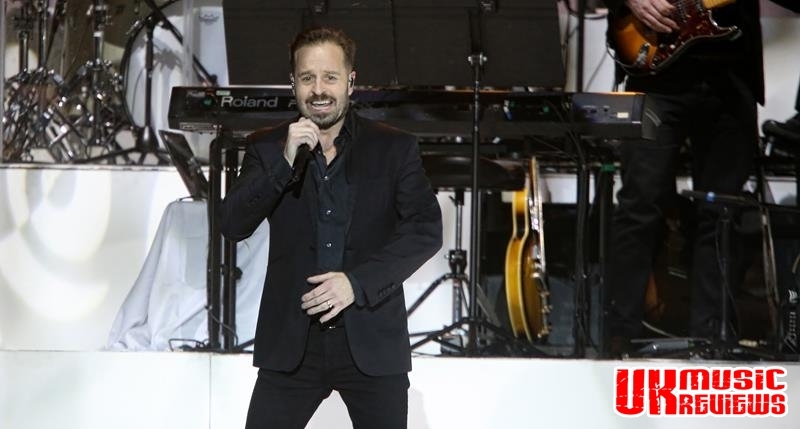 Michael Ball and Alfie Boe, two very charismatic singers, are touring to promote their second album, Together Again and they took their devoted fans and easy listening aficionados through a dream set list at the Motorpoint Arena last night. And the pair made quite the comic duo as Boe flitted about the stage with Ball doing his best to keep him in check and failing miserably. And with such rapport between the two it was easy to forget that Boe is a trained opera singer with his power and range and that Ball has the rounded tones and delivery of the seasoned musical theatre star, because together they complimented each other so fantastically. It was a bold move starting the show with As If We Never Said Goodbye from Sunset Boulevard because that set the tone for the rest of the show. But neither Ball nor Boe were intimidated as they provided a night of quality entertainment that was simply unparalleled. Their flawless voices were mind blowing with their angelic harmonies and as well as singing they danced to a backdrop of an impressive 16 piece orchestra which helped to bring the show to life as if it was being performed in the West End. 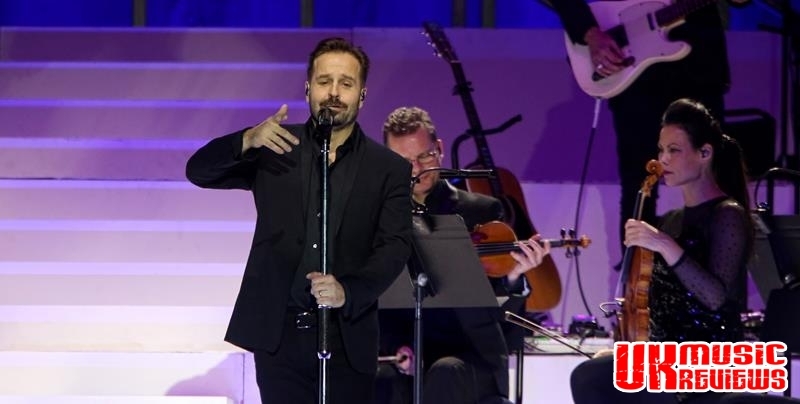 The singers paid some fitting tributes to musical greats Stephen Sondheim and Rogers & Hammerstein with beautiful renditions of hits from West Side Story, Not While I’m Around from Sweeny Todd and the romantic Some Enchanted Evening from South Pacific. They even threw in a cheeky number, You’ll Be Back from the phenomenon that is Hamilton which is new to the West End. 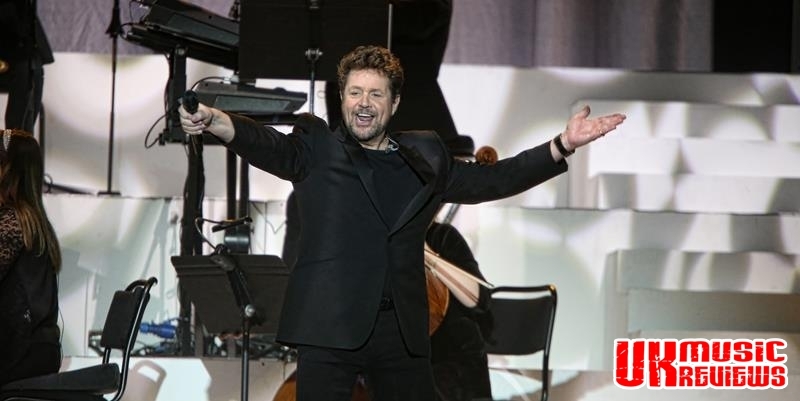 There were also solo spots which allowed both performers to belt out their signature numbers which for Ball included Love Changes Everything together with a high energy display of You Can’t Stop The Beat, performed with the same vigour as when he played Edna Turnblad in Hairspray twenty years ago. He also earned the first standing ovation of the night with a mesmerising Impossible Dream, before handing the stage over to Boe for Bring Him Home, which was simply spellbinding. Delivering a haunting cover of Snow Patrol’s Run to an arena lit by thousands of tiny mobile phone lights that resembled a sheet of stars, it was easy to see why some of the crowd had to wipe a tear away. 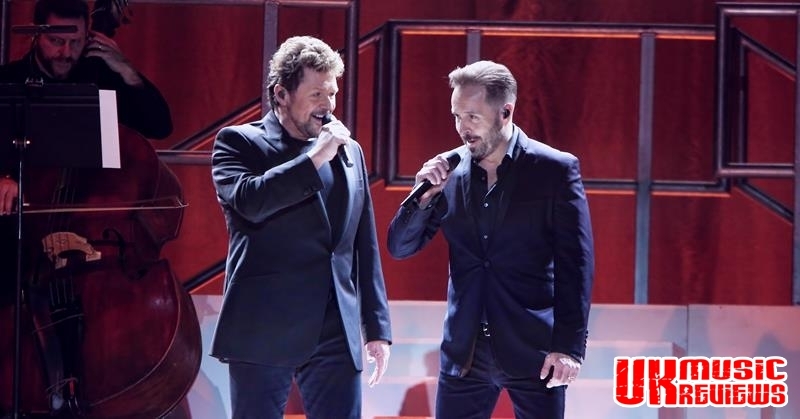 Back on stage together, it wasn’t all just for fans of musicals. 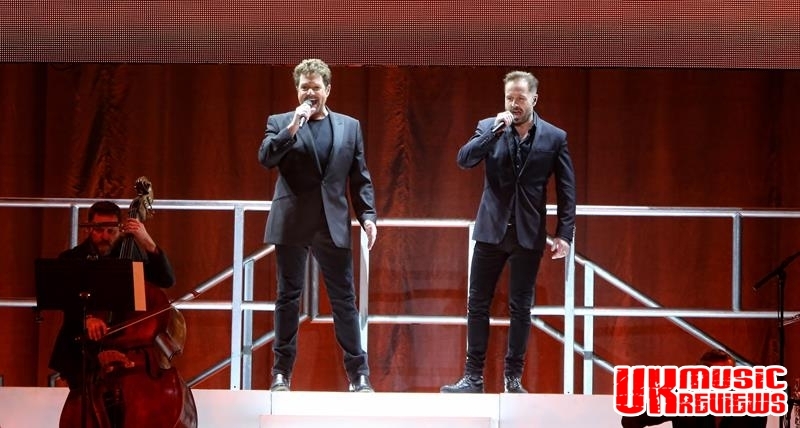 The pair segued into a rousing Queen tribute which was rewarded by full audience participation in We Will Rock You and Radio Ga Ga, the classic The Rose and a belting (Your Love Keeps Lifting Me) Higher And Higher. Ball and Boe provided an evening of good old fashioned quality entertainment, sprinkled with a bit of old school showbiz glamour, whilst also forging a new enduring double act that does not take itself too seriously. It was perhaps therefore no coincidence that they paid tribute to the greatest entertainment partnership of them all; Morecombe & Wise with a song and dance rendition of Bring Me Sunshine. 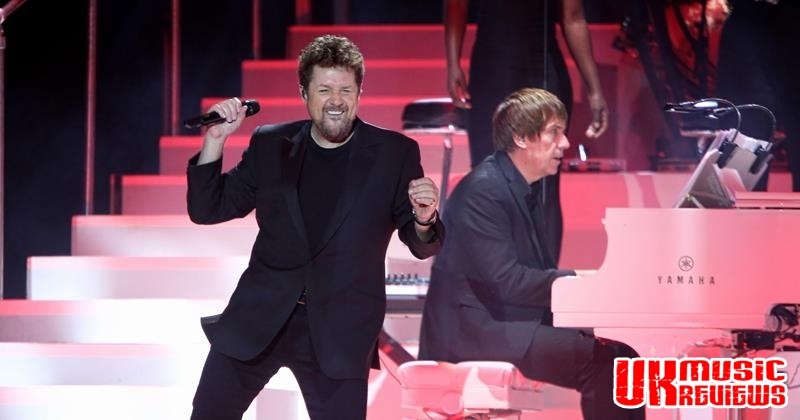 By the time that they had left the stage after a brilliant Wham tribute, the audience were on their feet to show their genuine appreciation for two men who had made them wipe away the odd tear as well as clapping in adoration.